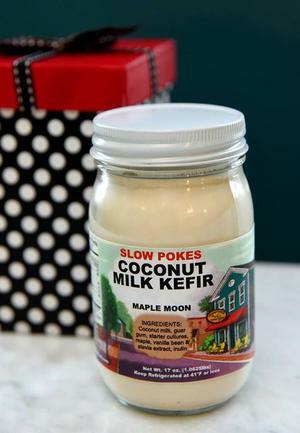 This coconut milk kefir, or kefir cream, is dairy-free and made by Slow Pokes Food in Grafton, WI. 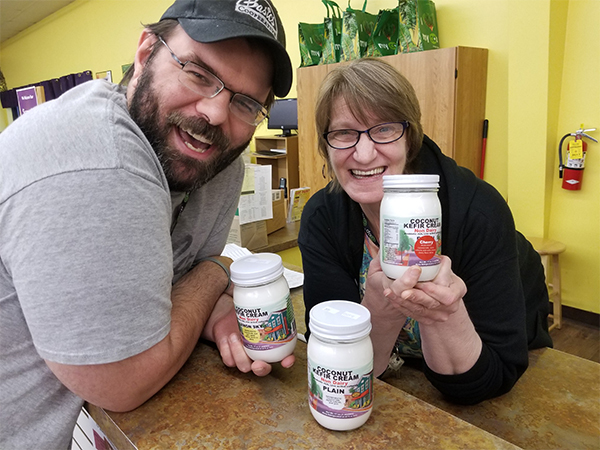 It is delivered to Basics by our all-Wisconsin vendor Trust Local Foods. Slow Pokes Local Food has been producing delicious, nutrient-dense foods from scratch since 2006. At their storefront in Grafton they specialize in gluten-free, raw, vegan, vegetarian and fermented products. Wonderful small local farmers supply them with many of the ingredients they use. Their signature kefir is made by hand, in small batches, and fermented slowly. 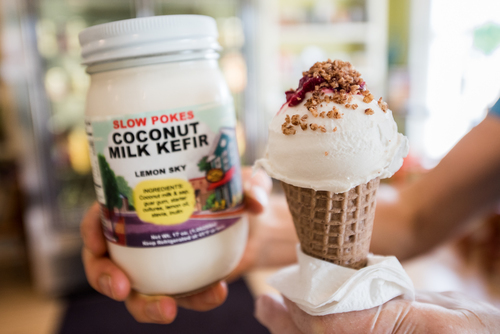 Slow Pokes' Coconut Kefir is a first for Wisconsin, and we're thrilled to carry it in our dairy section!